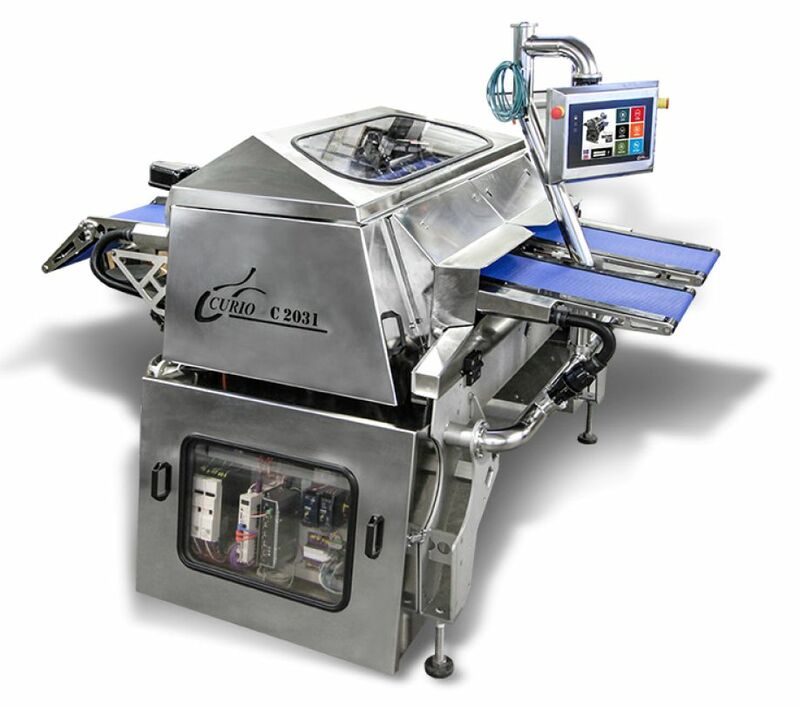 The Curio C-2031 skinning machine is a powerful double skinning machine with independent control of the right and left conveyors.The machine has high skinning yield due to a newly designed skinning roller combined with an automatic, sensor controlled pressure hold down system to avoid damaging the fillets during skinning and electronic measuring system to ensure each fillet is accurately skinned according to its length. The Curio 3011 Touch Panel to control machine functions and monitor both out feed belts with integrated camera system. Fully height adjustable outfeed belt system to deliver fillets gently for example to a trimming table or cutting machine and variable speed infeed / outfeed belts.  One of our new feature is an ethernet connection to allow remote monitoring as well as maintenance, fault finding and software upgrades. The machine has the ability to instantly move between skin off / skin on production should the machine be placed into a line. 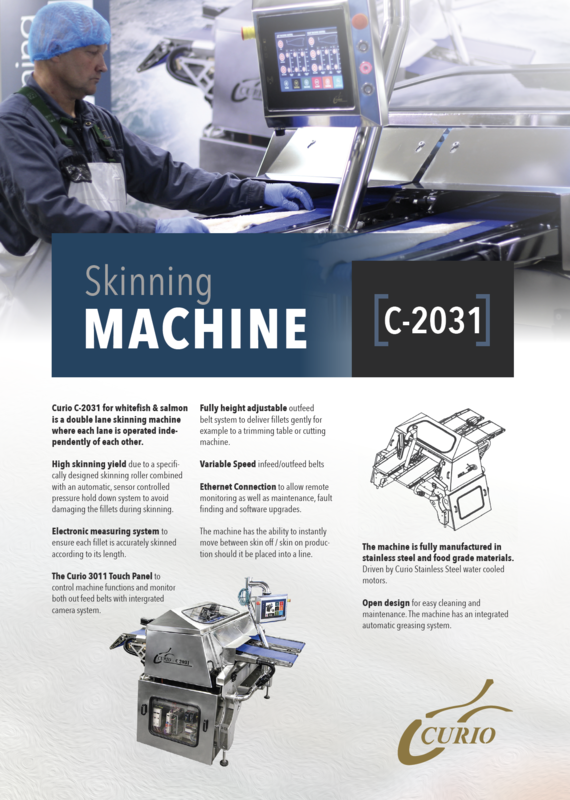 The Curio C-2031 skinning machine is fully manufactured in stainless steel and food grade materials. Driven by Curio stainless steel water cooled motors. Open design for easy cleaning and maintenance. The machine has an integrated automatic greasing system. Curio Ltd. produces seafood processing machines for heading, filleting, skinning and sharpening that can be set to suit different seafood species.